In 2011, luxury and internet were really well together. 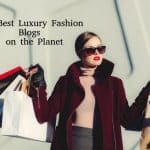 Here is the ranking of the top 5 best luxury blogs based on multiple settings: Page rank, back links, alexa ranking and social networks activity. Founder/blogger/photographer Scott Schuman began The Sartorialist with the idea of creating a two-way dialogue about the world of fashion and its relationship to daily life. Hypebeast is a global media platform positioned as a major contributor to today’s lifestyle and fashion landscape. It was founded by Kevin Ma. See celebrity style trends, and read style tips, reviews and opinions on Stylelist. HighSnobiety is the flagship site of the Titel Media network of fashion and product focused websites. With a solid staff of writers and bloggers working worldwide, HighSnobiety (and other Titel Media sites, Selectism and HighSnobette) remain some of the strongest resources in fashion news on the Internet today. One of the largest independent fashion news sites, Fashionista is a finely curated collection of fashion news, criticism and career advice. Fashionista is published by Breaking Media. We can see that this ranking is totally dominated by US websites. There are few blogs around the world with an international impact. Most of the existing ones are influent in a country and/or region and/or city. If you have any interesting blogs to share, do not hesitate to share it here.